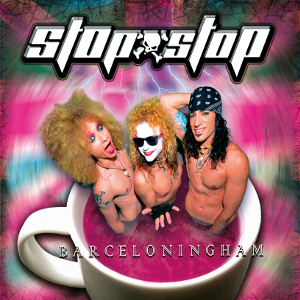 STOP STOP is an energy-fueled ‶Metal & Roll” band born in Barcelona, Spain in 2007, and categorized as one of the most exciting and entertaining live bands nowadays. The band debuted with “Unlimited” (2010) and released 2 other albums “Join The Party” (2014) and “Barceloningham” (2016). Since it wasn't enough for the band to get the recognition they were looking for, they moved to the UK in 2011. Rock fans in England soon went crazy for their sound, and the band got accepted well there. What began as a few initial bookings, and quickly turned into an extensive tour that lasted amazingly two years. After that, the band has a record deal with the German label Metalapolis Records for releasing of the second album, followed with UK gigs taking place every weekend, and succeded to get their loyal fan base which is solid. 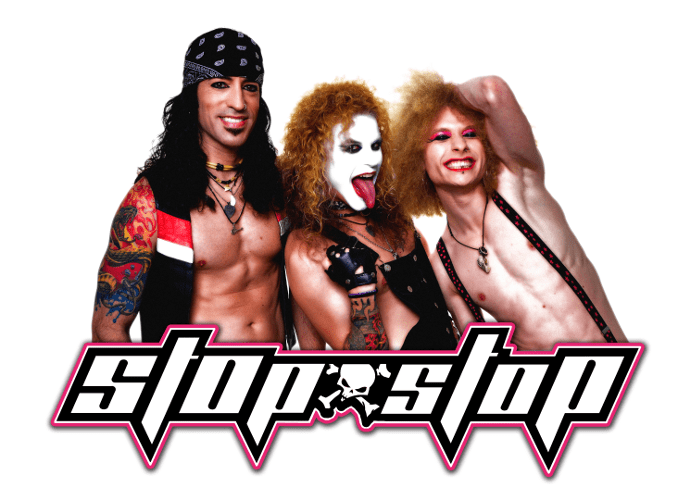 After the last five years STOP STOP has been nonstop touring all around the world in order to play at clubs and festivals such as “Rocklahoma” (USA), “Ice Rock Festival” (Switzerland), “SleazeFest” (Germany), HEAT Festival (Germany), “The Godney Gathering” (UK), “Hard Rock Hell” (UK), “Legends of Rock” (UK) among many others. On their 3rd album ‶Barceloningham", they deliver pure raw rock n' roll, sleaze rock, and a ballad tune with the 80s taste.